The son of the last man to be hanged in Wales was found drowned on a remote Scottish beach, an inquest has heard. The body of 53-year-old Omar Mattan was found on a beach in Caithness in March. 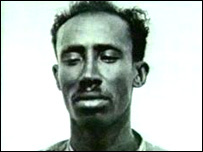 His father, Somali seaman Mahmood Mattan, was executed in Cardiff jail in September 1952 for murdering a woman shopkeeper in Butetown, Cardiff. The conviction was overturned by the appeal court in 1998. The Cardiff inquest recorded an open verdict on Omar Mattan, who was in financial difficulties at the time of his death. The painter and decorator had told relatives he was planning to visit Ireland but, the inquest was told, he travelled to Scotland instead. His body was found on 9 March by two hikers walking along cliffs at the remote coastal village of Clardon Haven, near West Murkle, Caithness. Police at first dubbed the body "the man in black" after failing to establish its identity. Coroner's officer Derrick Hassan said: "Police were called in and found his feet were stuck under rocks." Mr Mattan's identity was finally traced by matching fingerprints and DNA to the National DNA database, he said. A post mortem examination revealed the cause of death as drowning while under the influence of alcohol. The inquest heard he was three times the drink-drive limit and the only item found near his body was a bottle of whisky. He was last seen alive visiting a friend, Joan Parsons, on 26 February this year. After Mr Mattan has left, Mrs Parsons discovered £420 missing, the court heard. Mr Hassan added: "She described him as a loner with an alcohol problem and it was not unusual for him to wander off for extensive periods of time." The death was investigated by the Procurator Fiscal in Wick, Gary Aitken. In a written statement he told the inquest: "From Mr Mattan's lifestyle and financial difficulties it's consistent he got drunk and ended up in the water. "But we do not know whether it was by accident or whether he had literally and metaphorically reached the end of the road and chose to end his life." Mr Mattan's family was in court to hear Cardiff Coroner Dr Lawrence Addict record an open verdict. He said: "The evidence doesn't fully show how Mr Mattan came by his death." 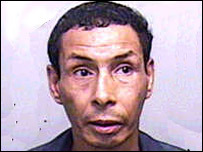 Mahmood Mattan was found guilty of slashing shop owner Lily Volpert's throat in Cardiff Docks in 1952. But in 1998 the Court of Appeal ruled Mattan's conviction for killing 41-year-old Miss Volpert was not safe. Mr Mattan's family were awarded £725,000 in compensation after a 10 year campaign to clear the seaman's name.